This Academy Award-nominated documentary takes us through Mandela’s childhood, adolescence, career in law and first marriage, to his election as South Africa’s first black president. 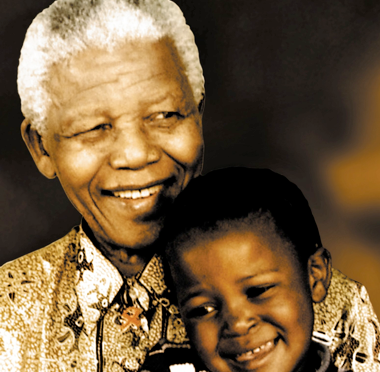 “Mandela” is an absorbing look at an engaging and courageous world leader. Produced by Jonathan Demme, Edward Saxon and Jo Menell. Directed by Jo Menell and Angus Gibson. A National Geographic Map chronicling the political and cultural history of South Africa up to 1997. On September 25th 1998, the world’s largest classroom ever assembled gathered at Toronto’s Roger’s Centre for a celebration with our founder, Mr. Nelson. R. Mandela. 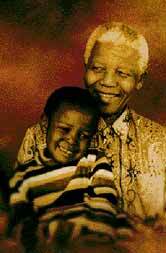 On that day, over 40,000 school children helped to launch the Nelson Mandela Children’s Fund (Canada).